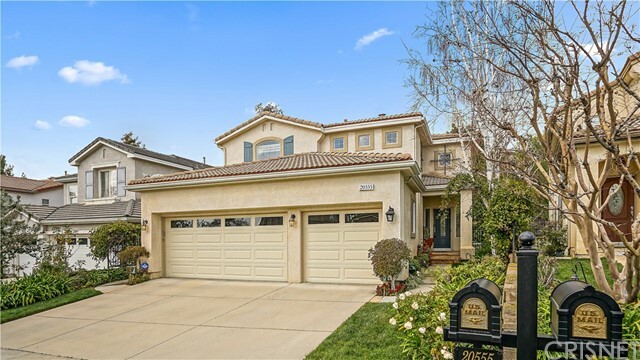 All Porter Ranch homes currently listed for sale in Porter Ranch as of 04/23/2019 are shown below. You can change the search criteria at any time by pressing the 'Change Search' button below. 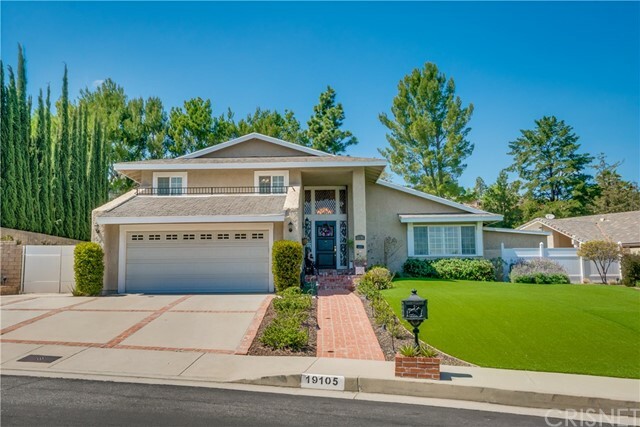 If you have any questions or you would like more information about any Porter Ranch homes for sale or other Porter Ranch real estate, please contact us and one of our knowledgeable Porter Ranch REALTORS® would be pleased to assist you. "NEW Toll Brothers Cahill Spanish Colonial 5 bedrooms/5.5 baths highly upgraded VIEW home located in the prestigious WESTCLIFFE gated community. 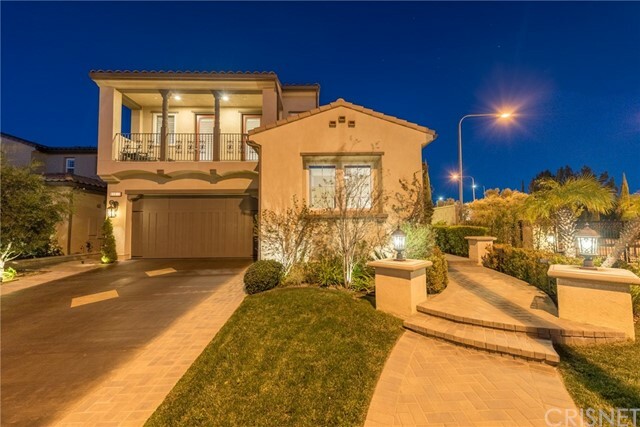 Luxurious hillside living in Porter Ranch. MOVE IN READY-just needs your choice for most of the flooring. Breathtaking two-story foyer is accented by a soaring dome ceiling and a stately staircase with upgraded iron stair rail system to the second floor. Stunning open concept great room and dining room with an upgraded 20 wide x 9 high pocket Western Sliding Door to large rear yard with Valley Views! Highly upgraded gourmet kitchen features TWO CENTER ISLANDS with Caesarstone Quartz counters, and waterfall slabs, large walk-in pantry, drop zone and nook with a second upgraded pocket Western sliding door to the Luxury Outdoor Living Space. Upgraded WOLF appliances, WOLF coffee system, ASKO dishwasher and an additional top row of cabinets to the 10 ceilings. The second floor is highlighted by a bonus room and a gorgeous master bedroom featuring a king-sized walk-in closet and a magnificent master bath with dual vanities, a large free-standing soaking tub, and a luxurious shower with a seat, rain head and hydro rail shower column. Enjoy stunning views of the valley city lights from the master bedroom s covered suite deck with fireplace! Other features include a first-floor office, an appealing first floor bedroom perfect for quests, and a convenient laundry location centralized to all the bedrooms." "Beautifully upgraded home in 24-hour guard-gated community of Ridgegate. Situated in the most desirable part of the neighborhood. Enter through the dramatic two-story foyer which opens to formal living room and dining room, with elegantly curved staircase. This home features a newly and extensively remodeled kitchen with custom cabinets, large built-in Sub-Zero refrigerator, Viking appliances, a warming drawer and wine cellar, a butler s pantry and wonderful breakfast area. Wood floors throughout, upstairs and downstairs. One bedroom downstairs with bathroom. Every bedroom has own bathroom. The one-of-a-kind rear yard features a lighted sports court, covered patio, putting green, freeform pool, spa and waterfall. Award-winning Granada High School, Noble Middle and Beckford Elementary." 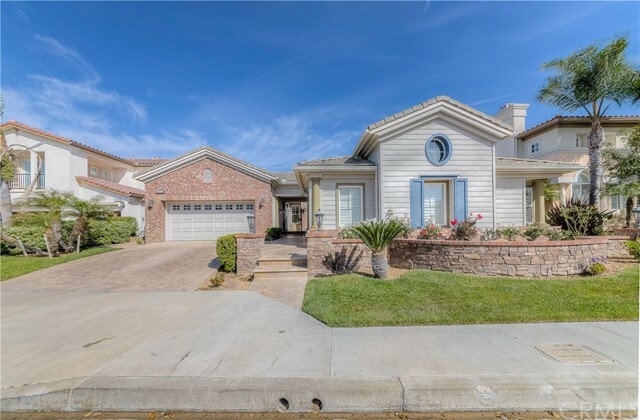 "***************** Single Story Prestigious House of Renaissance in Porter Ranch **************** 24-hour gate guard, 3 car garage, 150K Upgrade, resort style swimming pool & spa, private & huge backyard(12,392 sq), south face. built cabinet all rooms, Separated Living room & family room, Open & airy floor plan, recessed light, direct access the garage to family room & kitchen. Granite thru counter top with island kitchen, stainless steel appliances, built refrigerator, connected family room and kitchen, fireplace in FR, very spacious Master bedroom with fireplace & shower room & tub,ceiling fan & mirror closet door, electric dimmer. All windows w/ wood shutter, wood & tile flooring thru out. Solar system. Closed PARK & community center with gorgeous restaurants & movie theater, shops & more..."
"VIEW! VIEW! VIEW! Porter Ranch Estates Full View Home. Beautiful 4bedroom/4bath home with a bonus room. It all starts at the curb with mature landscaping, stone accents and a circular driveway. Open floor plan with living and dining room. Coffered ceilings in the dining room, vaulted ceilings and fireplace in the formal living room. Gourmet kitchen with center island, walk in pantry, granite counter tops, tile floors and a large dining area overlooking the backyard and city lights view. The kitchen extends to an entertainer's family room with built in cabinets, fireplace and french doors leading to the back yard. The downstairs is complete with a large bedroom and private bath, pedestal sink and oversized laundry room. At the top of the stairs is a huge bonus room with built in cabinets, wet bar, high ceilings and a stone fireplace overlooking the front yard and mountain views. Master suite with attached sitting room, balcony, vaulted ceilings, fireplace and attached master bath with spa tub, separate shower and double sinks. Two additional good size bedrooms and hall bath with dual sinks and enclosed tub/shower." "THIS HOME IS PRICED TO SELL!! ANOTHER HOME WITH SAME FLOOR PLAN JUST SOLD FOR $1,200,000 ON 12/2018. 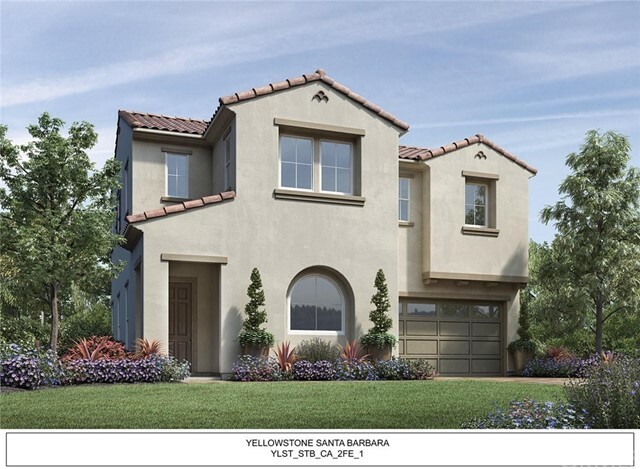 Here's your chance to own this Exquisite Guard Gated Home located in the Bella Vista Community! This Luxurious 4 bed & 3 bath w/loft residence features an open floor plan gleaming with custom wood flooring. The grand foyer leads you to a spacious Great room and formal dining area that is perfect for entertaining guests. The gourmet kitchen was designed with beautiful granite countertops, large center island and GE Profile appliances. One bedroom located on the 1st floor is perfect for an office or guest bedroom. Three additional bedrooms and a loft located on the 2nd level include an expansive Master Suite that is sure to impress, highlighted by a master suite balcony. The Master bath features marble counter tops, soaking tub, huge separate shower, and his and her walk-in closets. Beyond the great room downstairs are floor to ceiling sliding doors which open up to the large Luxury Outdoor living patio equipped with cozy fireplace. Relax, unwind, or entertain your guests in your beautiful landscaped backyard featuring an eye-catching water fountain, fire pit and built-in outdoor kitchen which includes sink, BBQ, refrigerator and island bar. AN ENTERTAINER'S DREAM! Other features include; laundry room and extra bonus room on second level. Located within the acclaimed PR Community School and near The Vineyards, which will feature restaurants, theater, boutique shops and more!" "Magnificent two-story house with beautiful architectural features. Double doors lead to an open and expansive step-down living room with vaulted ceiling, wood floor, marble fire place, skylight and a crystal chandelier. Just beyond is the formal dining area with coffered ceiling, crystal chandelier, and a slider to the side yard. The kitchen has a large garden window where you can enjoy the view of the backyard. There is a center island electric cook top and grill, a separate grilling area, plenty of cabinet space, stainless steel appliances, granite countertops and floors, kitchen nook with, slider to the backyard with wood shutters. The step-down family room boasts of a brick fireplace, built-in book cases, beam ceiling. One bedroom with its own bathroom and a powder room complete the first floor. On the second floor you will find an oversize loft that can easily turn into a 5th bedroom. Double doors lead to the sitting area of the master bedroom that is completed by a marble fire place, a balcony with view of the city and an oversize master bathroom with a large spa tub, shower and a double vanity, walk-in closet. Two very spacious bedrooms and a full bathroom complete the second floor. The backyard is perfect for entertainment with a beautiful pool and a wonderful covered patio. Ready for your family gatherings. And a 3 car garage. Once in a blue moon a house like this hits the market. Don t let this one go by. It s ready for new owners and now it can be yours." "Price Reduced $40,000!!! Check the Comps. 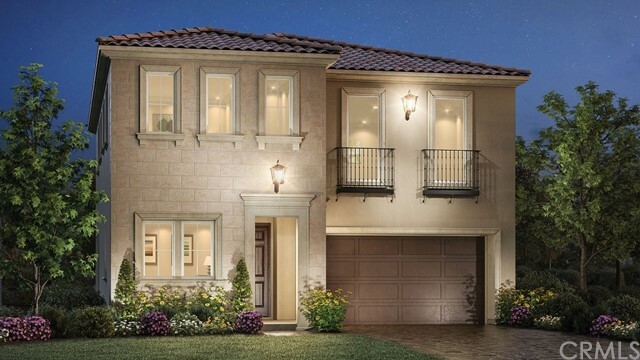 Lowest Price in Gated Communities in Porter Ranch !!! One of a Kind Entertainers Showplace in Prestigious Belcourt Gated Community!!! GUEST UNIT, 6 BD & 4 BA !!! Ultimate Open Floorplan, Natural Light & Comfort are combined in this Stylish Remodeled Residence with 3,725 SQ.FT. of Living Space that sits on 18,605 SQ.FT. Lot. 2 BD are Downstairs, including Guest Suite w/ Private Entry, Patio & BA, ideal for In-Laws or visitors. This Home Features Windows Galore, Recessed Lighting, High Ceilings, Beautiful Flooring & Staircase, Tray Ceilings! Grandiose Living Room & Formal Dining Area. Huge Family Room with Fireplace, Bar & Surround Sound Speakers leads to Remodeled Gourmet Kitchen w/Granite Counters, Stainless Steel Appliances, Pantry, Central Island and access to Patio. Big Master Suite w/Step-down Sitting Area, Access to the Balcony, Walk-in Closet, Private BA w/Duel Sink, Huge Shower & Bathtub. There are 3 Large Additional BD Upstairs. Professionally Landscaped Frontyard and Wrap-around Backyard. 3 Patios, 2 of them are away from the street, ideal for entertaining; Brand New Driveway; Additional 4 Parking Spaces; 3 AC Units are just few more bonuses this Beauty has to offer. Award winning Beckford Elementary, Nobel Middle and Granda Charter High Schools complete this Home!" 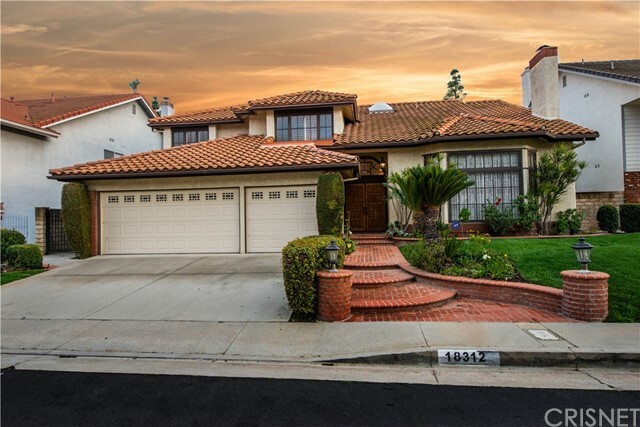 "Located in the desirable and prestigious guard gated Ridgegate community of Porter Ranch. This home features a formal Living room with a fireplace, beautiful hardwood engineered flooring throughout, formal dining room, high ceilings, Spacious gourmet kitchen with granite counter tops, center island, sub-zero fridge, breakfast nook, huge family room with fireplace and great views to the gorgeous pool and backyard. 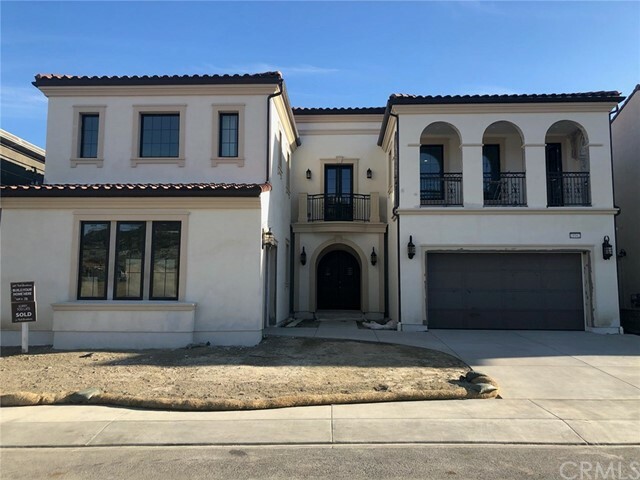 Spacious bedrooms including a Master suite with a huge master bathroom and walk-in closet, Huge yard perfect for entertaining, green belts, pool & spa. 3 Car garage (one space converted to a bonus room), circular driveway. This is a MUST see! Schedule your showing today!" "THIS IS IT!! 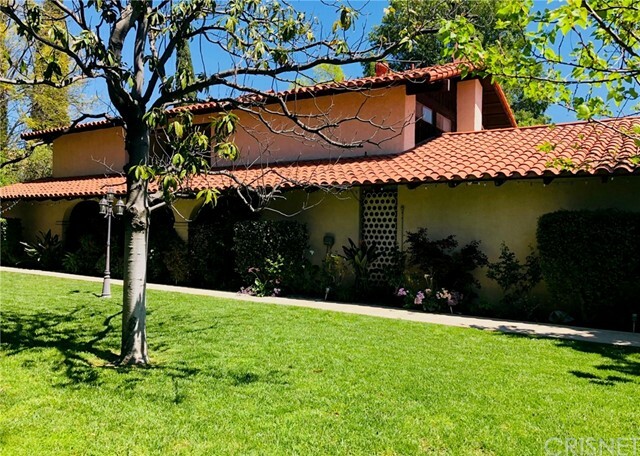 This corner home nestled in the prestigious hills of Porter Ranch, is an exquisite S&S Northridge View Estate property on a quiet cul-de-sac. The home has 5bd, 4ba, with 3,418 sq. ft. living area and sits on 16,218 sq. ft. lot. The double-door entrance leads to a large foyer with high ceilings, formal living room with a gas fireplace, large windows, and opens to a spacious formal dining room. You will love to cook in this remodeled kitchen with granite countertops, eat-in area and a wine cooler. The open floor plan connects the kitchen and the family room which features a fireplace, built-ins and a wet bar. The first floor also has a bedroom/office located next to a full bathroom. Additionally, there is an au pair / maid s quarters with a full bath and a private entrance in the garage. The inside laundry room leads to a two car garage. Upstairs, your family can enjoy a huge media/bonus room with high ceilings, custom bar, and wine closet. The Master Suite features a vaulted ceiling, balcony, walk-in closet, and an oversized bathroom. 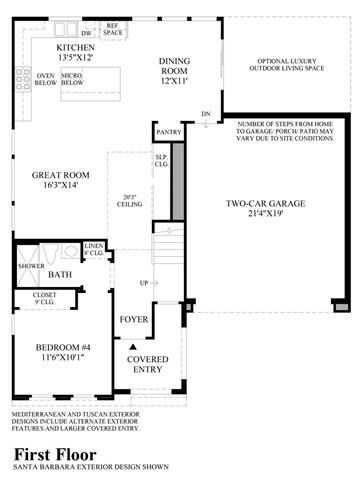 Two large bedrooms share one full bathroom. This home has an entertainer s backyard, with a sparkling pool and spa, barbecue area with granite counters, lemon and other fruit trees." 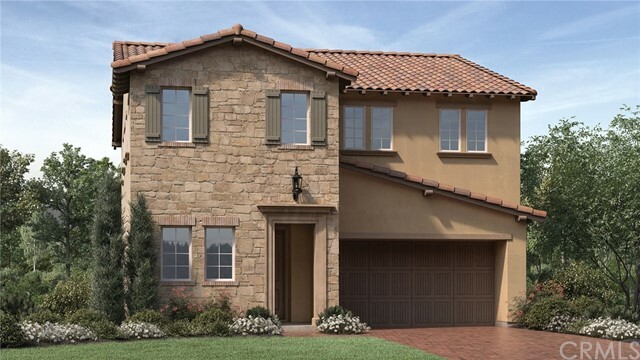 "Brand new home under construction in the desirable gated community of Avila - Vistas Collections - Porter Ranch. The buyer of this beautiful home still has the opportunity to personalize. This home will be ready for move-in September 2019. 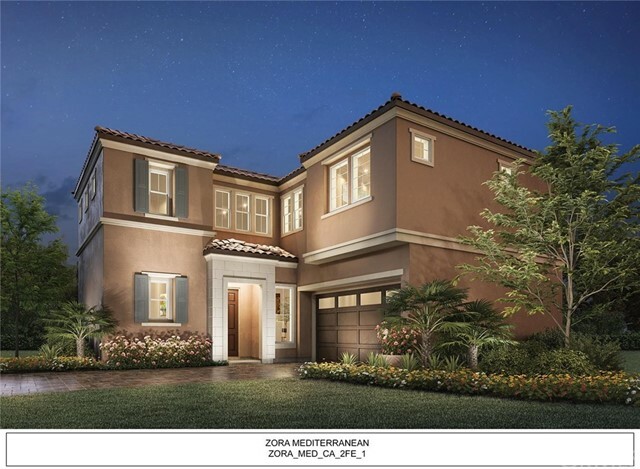 This community is within walking distance to the highly rated Porter Ranch Community School." "Welcome to HARMONY Stunning features for a luxurious lifestyle. The Harmony's breathtaking curved staircase and foyer lead to the gorgeous open-plan main floor, with a great room, dining room, stylishly well-equipped kitchen, and luxurious outdoor living space accessed by elaborate sliding glass doors. The gourmet kitchen's large center island and breakfast bar are perfect for informal entertaining or dining. Upstairs, the stunning master bedroom features bright windows, large walk-in closet, and luxurious master bath with dual-sink vanity, luxe shower with bench seating, and separate drying area. A second floor loft extends the living space, and the laundry room and large linen closet are centrally located to the secondary bedrooms with shared hall bath. Desirable additional highlights include a second floor bedroom with private full bath, and a full bath on the first floor adjacent to the foyer and a convenient home office." "Welcome to the Montage Italianate! The Montage welcomes you with a porch and inviting foyer open to the spacious great room, beautiful dining room, well-equipped gourmet kitchen and luxury outdoor living space framed by expansive sliding glass doors. The kitchen's large center island and breakfast bar are perfect for casual dining and entertaining. Upstairs, the stunning master bedroom features your own private master suite deck, a luxurious master bath with dual-sink vanity, separate bathtub, walk-in shower and a spacious walk-in closet. A second floor loft expands the living space, and the laundry room is centrally located to the secondary bedrooms with Jack-and-Jill bath. A further highlight is a desirable additional second floor bedroom with private full bath, and a full bath on the first floor adjacent to the foyer and a versatile home office or downstairs bedroom. Buyer's can still customize their personal touches by choosing their finishes for this particular home." "Welcome to the Montage Tuscan! 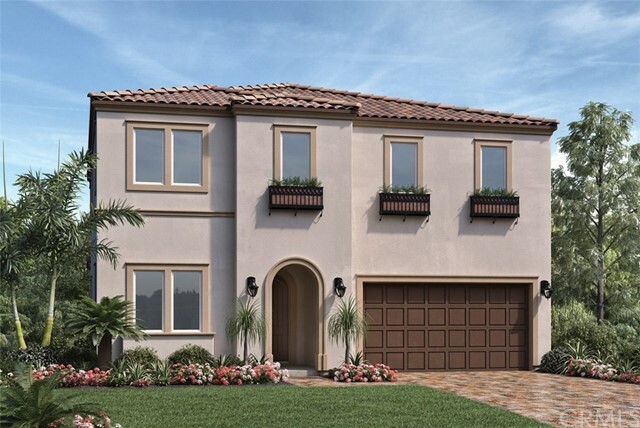 The Montage welcomes you with a porch and inviting foyer open to the spacious great room, beautiful dining room, well-equipped gourmet kitchen and luxury outdoor living space framed by expansive sliding glass doors. The kitchen's large center island and breakfast bar are perfect for casual dining and entertaining. Upstairs, the stunning master bedroom features coffered ceilings with partial canyon views, a luxurious master bath with dual-sink vanity, separate bathtub, walk-in shower and a spacious walk-in closet. A second floor loft expands the living space, and the laundry room is centrally located to the secondary bedrooms with Jack-and-Jill bath. A further highlight is a desirable additional second floor bedroom with private full bath, and a full bath on the first floor adjacent to the foyer and a versatile home office or downstairs bedroom. Private backyard with endless possibilities. This home is move-in ready!!!" "Here is the chance you have been waiting for* A Beautiful Spacious Home in the highly Desirable Porter Ranch* Nice front Corner Lot* Never have houses built across the street in the field*Within the Academic Decathlon Winning Granada Hills Charter High School District* You will walk up into this open, bright floor plan, with high ceilings* 3511 Sq Ft * Nice Entertainers yard with grassy area and dog run* One of the biggest pools around, and diving board* Spa* Big Game Room/Bonus Room/ with portable fireplace and wet bar* or an extra 2 bedrooms can be in there*Balcony off the Master bedroom* Eat in Kitchen Area* Inside laundry room* 3 car garage* Must see to appreciate*"
"This lovely 4BR, 2.5 bath home sits on the 5th fairway of the Porter Valley Country Club golf course with direct gate access to practice putting, short wedge and bunker shots. Additionally, there are views of holes #13 & #14 from the living room, dining room and master bedroom, making this one of the most unique locations on the course. Drought tolerant landscaping leads to a double door entry with high ceiling and marble floor. The elegant living room features a beautiful wood floor, recessed lighting and crown molding. A spacious family room opens to the kitchen while offering a fireplace, wet bar, stunning wood floor and a large slider to the rear grounds with golf course view. Enjoy the bright and sunny kitchen, complete with granite counters, a breakfast bar and separate dining area. The elegant formal dining room has a gorgeous wood floor and is accented with rich crown molding and baseboards. All bedrooms are located on the 2nd level and 3 of 4 have a view. A vaulted ceiling and private balcony with city views enhance the master bedroom and bath. The spectacular rear grounds include a covered patio, swimming pool, adjustable basketball hoop, tether ball and views of the lush golf course. 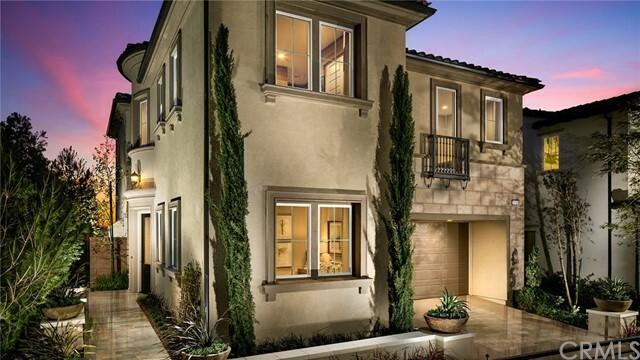 Enjoy the ultimate in California living as you become part of the thriving Porter Ranch Community." "View Lot! Well-designed, contemporary living. The Zora's welcoming side porch entrance opens to an inviting foyer and two-story great room, conveniently adjacent to the dining room and well-equipped kitchen, with large center island and wraparound breakfast bar perfect for informal dining. The beautiful master bedroom features large, bright windows, a spacious walk-in closet, and luxurious master bath boasting a dual-sink vanity and luxe shower with bench seating and drying area. The laundry room is centrally located to the secondary bedrooms and shared hall bath." 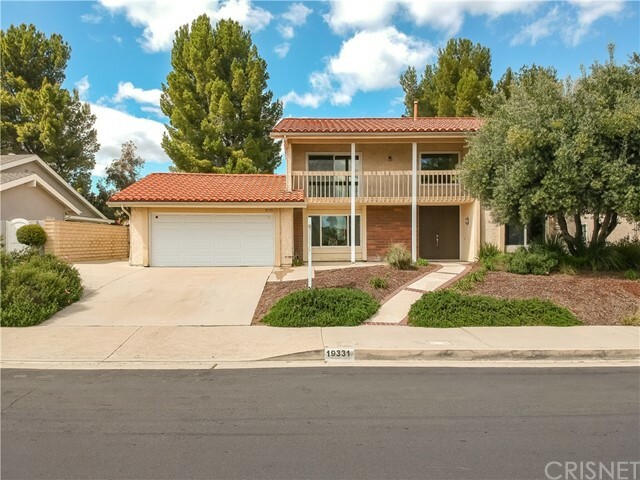 "Gorgeous home in desirable Porter Ranch features 1 bedroom and full bathroom downstairs! Entertainer's yard with private pool and spa! High ceilings. Living room with fireplace. Separate family room. Dining room and breakfast nook!" "Desirable amenities for a contemporary family lifestyle. At The Red Oak, an inviting covered porch and foyer flow into the magnificent great room, dining room, and gourmet kitchen, well-equipped with large center island and breakfast bar for informal entertaining or dining. The bright, beautiful master bedroom features a large walk-in closet and luxurious master bath with dual-sink vanity, luxe shower with bench seating, separate drying area, and private water closet. A versatile second floor loft and centrally-located laundry room are convenient to the secondary bedrooms and shared hall bath. An additional highlight is a versatile home office and full bath on the first floor, adjacent to the foyer." 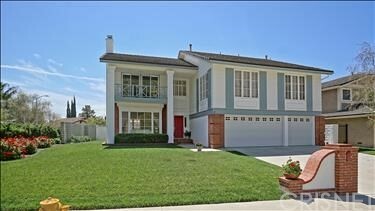 "This Immaculate Two-Story Home is Nestled in the Highly Sought-after Community of Porter Ranch. 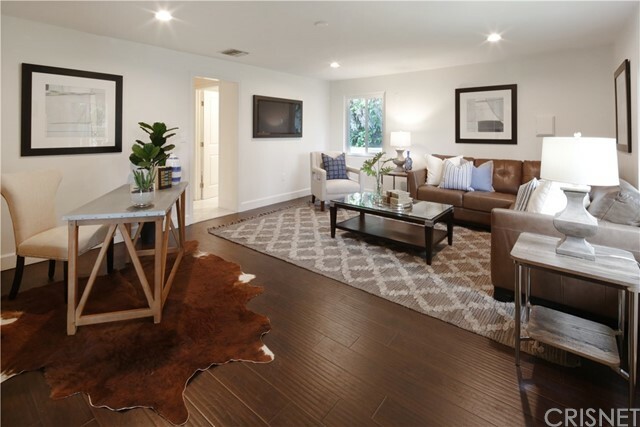 With 2,324 Square Feet of Beautifully Renovated Modern Finishes, a Total of 5 Bedrooms, 4 Baths with Floating Vanities, and a First-Floor Guest Suite w/ Connected Bathroom and Laundry Room Perfect for the Overnight Guest or In-Laws. An Interior with New Paint & Windows, Smooth Ceilings & Recessed Lighting, a Modern Look Throughout the Home. Enjoy those Special Gatherings with Friends & Family in the spacious Living room w/ Cozy Fireplace, A Private Dining Room and the Family Room also Provide a Perfect Setting for Relaxation or Entertaining. The Updated NEW Kitchen w/Shaker Cabinets Showcase & Quartz Counter-tops Inviting you to Master your Culinary Skills. The Living/Dining Room French Doors Immediately Draw you to the Spacious, Lush Backyard Complete with a Vegetable Garden and a Perfectly Placed Covered Patio for that Memorable Outdoor Experience in the Shade. Located near Award Winning Charter Schools with Easy Access to 118 Freeway, Porter Ranch Golf & Tennis Club, Several Great Hiking Trails, Countless Shopping Options, and Great Restaurants there will be no Shortage of Activities for Everyone... With Summer Fast Approaching Let's Envision the Endless Possibilities of your New Home." 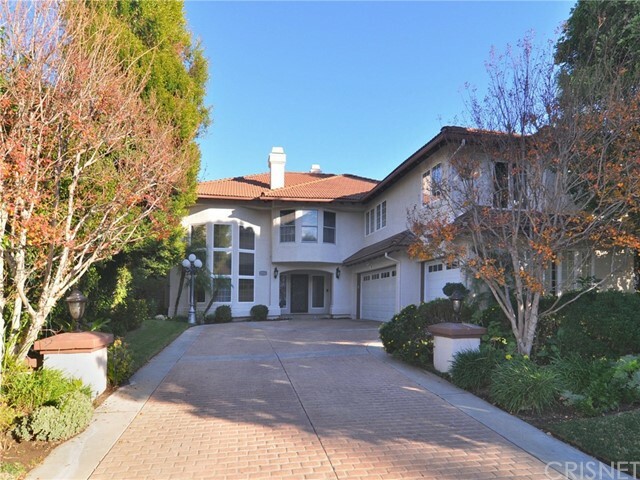 "Situated in the highly coveted Porter Ranch community is an unbelievable opportunity to own this entertainers paradise. With a uniquely shaped diamond lot, the property has a width and depth that is truly unmatched in the neighborhood. As you walk through the front door you get a magnificent view of everything this property has to offer. With hardwood flooring and fabulous updates throughout, this is a property that truly has everything. An open floor plan downstairs allows for a very light and bright feel with the kitchen as the focal point. The huge master suite overlooks the backyard as if you were staring down at your very own low maintenance resort. With synthetic turf, no sprinklers, and only custom drip irrigation, this backyard invites all the enjoyment with very little hassle. Whether it s a nice summer swim in the custom pool and spa, hosting your family for a barbecue, or a fun putting match with your friends, this backyard has it all. Don t pass up the chance to get your hands on a property that truly has a turnkey feel at this incredible value." 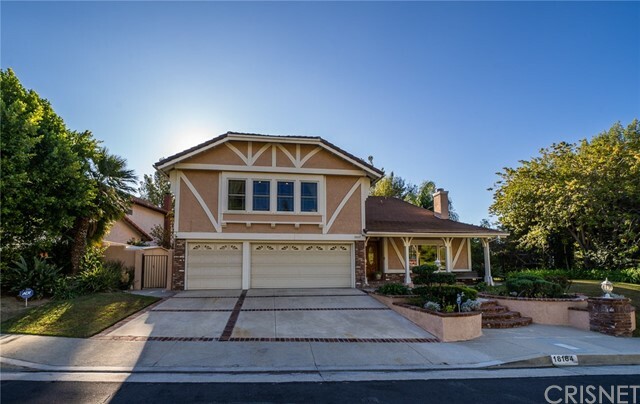 "BEAUTIFULLY APPOINTED HOME NESETTLED IN GATED COMMUNITY OF PORTER RANCH! Three Bedrooms upstairs, one downstairs and a loft. Enter into soaring ceilings to the great room with ample natural light. Open floor plan leads to chef's kitchen with large center island with stainless steel appliances. Dining room with a multi-panel stacking door leading to a cozy luxury outdoor living space with an exterior designer fireplace. Upper level loft adds to additional living space. Generous master suite with elevated coffered ceiling and walk in closet. Upstairs laundry room with sink. Secondary bedrooms with shared hall bath with dual sinks. Lovely front yard maintained by HOA. Beautiful recreation center coming soon with beach entry pool, spas, and club house." "Reduced! 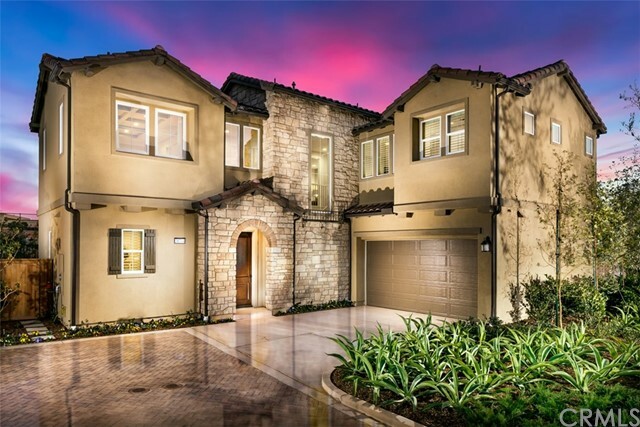 Gorgeous newer home in pristine hills of Porter Ranch. 24 hour guard gated Sorrento. Huge 3 car garage, high ceilings, lots of windows and natural light, granite kitchen with island and separate breakfast area, spacious family room, surround sound, master suite with huge walk in closet, master bath with separate shower & spa tub, 4th bedroom on the main floor converted an office with full bath. Upstairs - Spacious bedrooms, sparkling wood floors and media niche/desk area. The outside has a lush backyard with a beautiful garden and custom fiberglass patio cover. There are community pools, spas, picnic area and playground. Award winning school (K-8) Coming soon - Vineyards Shopping Center with theater, restaurants, and shops. Low HOA, no Mello Roos." "Light and bright 4 bedroom, 3 bath home on large corner lot. Home features formal living room, family room, dining room and eat-in kitchen. Bedrooms are large with ample closet space, vaulted ceilings and ceiling fans. Separate laundry room off the attached three car garage. Beautiful, private park-like yard with mature landscaping and patio - perfect for entertaining!" "Contemporary design and deluxe touches. The Yellowstone's inviting porch leads to a welcoming foyer and stunning great room, thoughtfully adjacent to the dining room and well-equipped kitchen featuring ample counter space, large center island, and breakfast bar for casual entertaining and dining. The bright master bedroom features large windows, a spacious walk-in closet, and luxurious master bath boasting a dual-sink vanity, glass-enclosed shower, and separate soaking tub. The laundry room is centrally located to the secondary bedrooms and shared hall bath. An additional highlight is the desirable first floor bedroom with full bath, adjacent to the foyer."